Spokespeople amongst the 23 local businesses and the national Mountain Equipment Coop that issued a tourism industry advisory last week are concerned the local MLA and Sustainable Resource Development (SRD) Parliamentary Assistant, Evan Berger, and SRD officials are misleading the public with statements in the media. The advisory was sparked by block-cut logging (commonly called clear-cut by the public) totaling 3,750 truckloads of logs set to start this June in the heart of the Castle Special Place, located in the international Crown of the Continent geotourism area. 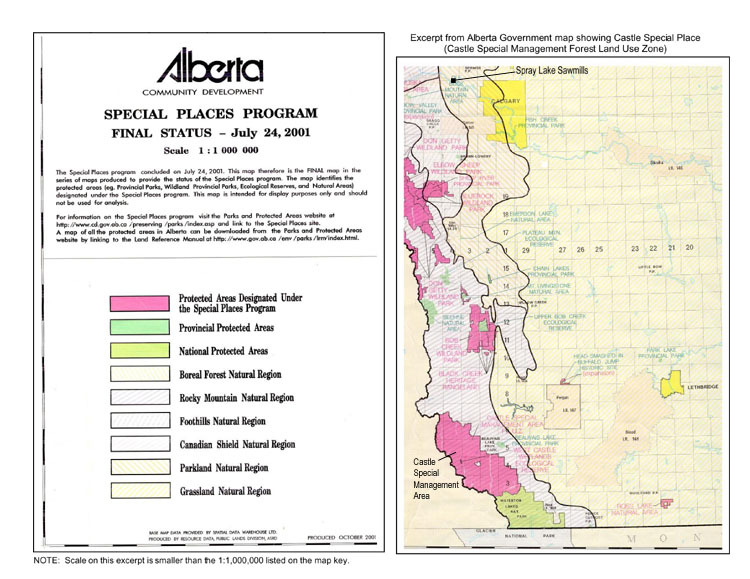 SRD spokespeople were quoted as saying the Castle isn’t a Special Place, yet it is there on the government website listed and mapped as one of Alberta’s 81 Special Place “protected areas.” The 2005 logging license was issued without public notice or consultation. However, there was extensive internal government and public consultation (1995-98) before the Castle was designated as a protected area. 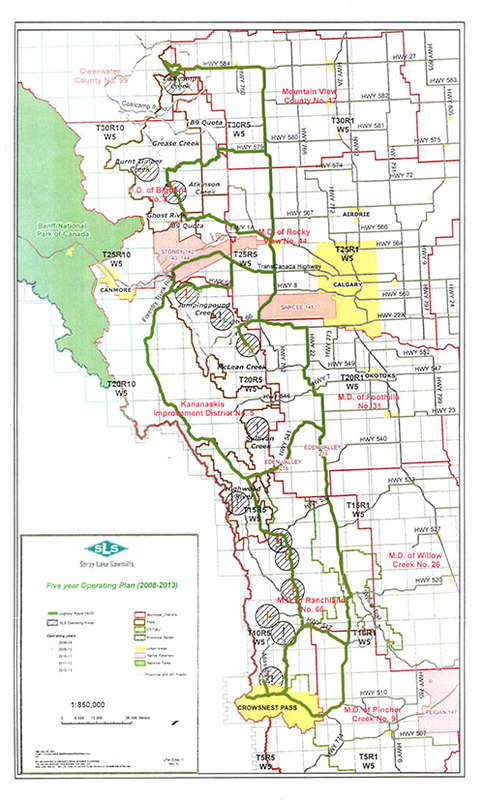 The Alberta Government has full authority as the body that decides where and when areas are logged, to remove the contentious license, just as Premier Klein did at the Whaleback (Bob Creek Wildland Park) located in the Forest Reserve southwest of Calgary. It was announced as a Special Place the year after the Castle and, like the Castle now, was slated for block-cut logging by SRD. Click here to see the Updated News Release, Pending logging in Castle Special Place sparks Tourism and Outdoor Recreation Industry Advisory. Don’t know how long these links will last. Get ’em while they’re hot! Other businesses can help the local businesses & residents by signing on at link above & writing Premier Stelmach. Twenty-three tourism and recreation businesses in southwest Alberta are publicly issuing an advisory to the tourism and recreation industry, warning businesses to “be aware before investing or expanding” in Alberta, Canada, if their business is making use of natural landscapes and associated wildlife on Alberta’s extensive public lands. The advisory warns that unless the natural state and wildlife habitat are legally protected under Alberta’s protected area legislation, it could disappear “with the stroke of a pen,” even when protection is presumed by virtue of land-use zoning or protected area announcements. Such is happening now with the popular Castle Special Management Area located between the Waterton-Glacier International Peace Park and Crowsnest Pass, within the trans-boundary Crown of the Continent geo-tourism area. A sawmill located outside the region, Spray Lake Sawmills in Cochrane, west of Calgary, and the Alberta Sustainable Resource Development Department (SRD) are set to log the core of the “protected area” commencing early June. 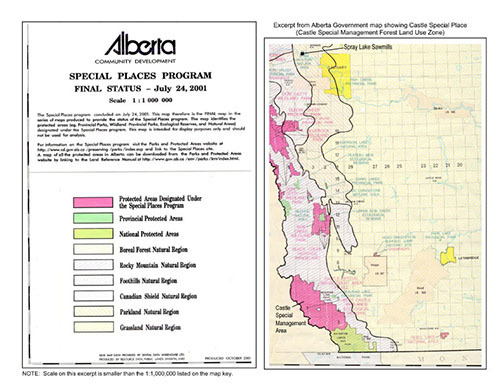 The advisory was sparked by block-cut (commonly called clear-cut) logging set to start within the very same Castle Special Management Area that the Alberta Government had said is a protected area and announced as “a milestone in the preservation of Alberta’s natural heritage for future generations” in 1998. The province still lists it as one of Alberta’s 81 Special Places. You are currently browsing the Stop Castle Logging blog archives for March, 2011.